I have wanted to interview Sophia Bera for quite a while because I love her story, and I want to share it with all of you. You see Sophia completely smashes the myth that advice based business has to be done face to face -- and in particular that financial advice has to be face to face -- and cannot be done online. You see I have been arguing that for quite some time -- and many people I know, and respect, have told me that it was impossible. But, then along comes Sophia Bera, and she is living proof that it is possible. Sophia is the Founder of Gen Y Planning. Not only that, Sophia goes another step forward and demonstrates how she has built a recurring revenue business -- and with clients that do NOT have assets under management. How clever is that! You see, Sophia works virtually with her clients, the majority of whom are in their 20s and 30s -- a target market frequently ignored because, generally, they don't have assets under management. Sophia has built her business on that target market. In the interview I did with Sophia, which you can listen to here, you can hear how Sophia manages her business fully online, how she breaks the other myth of not being able to build strong relationships virtually, and how her clients find her online! If you want to listen to someone who has taken the traditional approach to advice based business and turned it on its head, then listen to this interview with Sophia. Sophia is someone I admire and respect, and I am thrilled to share her story with you today. 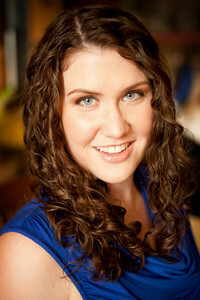 Sophia Bera, CFP® is the Founder of Gen Y Planning and is the top Google search for "Financial Planner for Millennials." She's works virtually with people in their 20s and 30s across the country as she builds a location independent practice. She is a contributor for AOL's Daily Finance website and has been quoted on various websites and publications including Forbes, Business Insider, Yahoo, Money Magazine, InvestmentNews, Financial Advisor magazine, and The Huffington Post. Sophia is a sought after speaker and presenter and in her free time she enjoys performing as an actor/singer and traveling the world. Follow her on Twitter @sophiabera or sign up for the Gen Y Planning Newsletter to stay up to date on financial articles geared towards Millennials. Oh, and she's not your father's financial planner! Please subscribe to my podcast in iTunes, and leave a review, as this really helps my podcast get greater recognition.